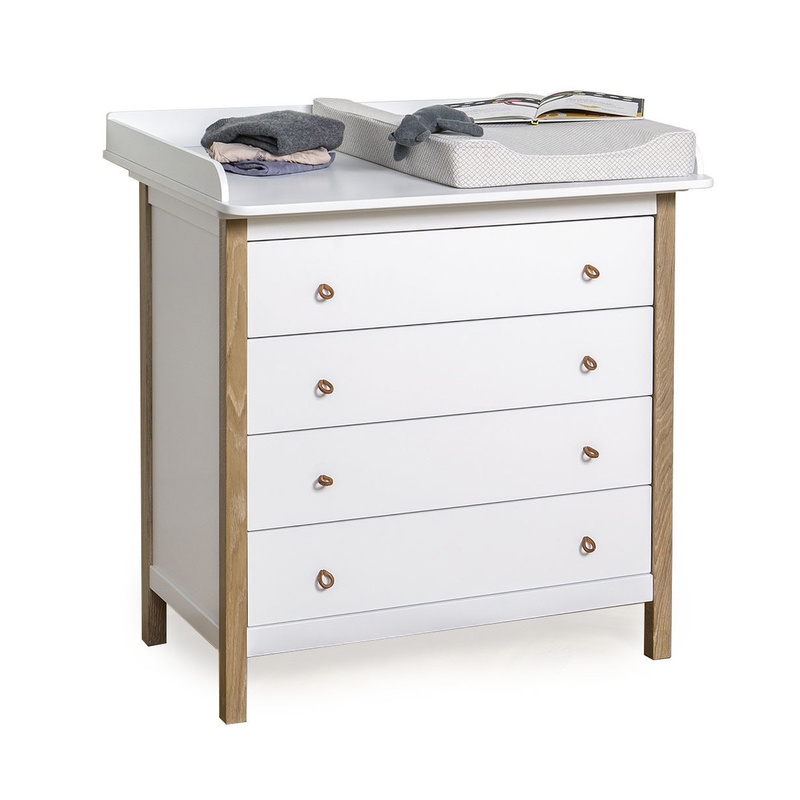 Wood is a classic and simple nursery dresser in Nordic design. Made from white wood, this dresser boasts elegant contrasting profiles and drawer knobs. The large nursery plate gives space for the child´s development and for the adult´s nursing of the child. The drawers are very spacious and perfect for storage. As the nursery plate is no longer needed it can easily be removed – then you have a beautiful and very classic dresser with a long lifetime. Shop online other for other furnishing pieces for children.